Solid Teak Wood Folding Shower Seat. 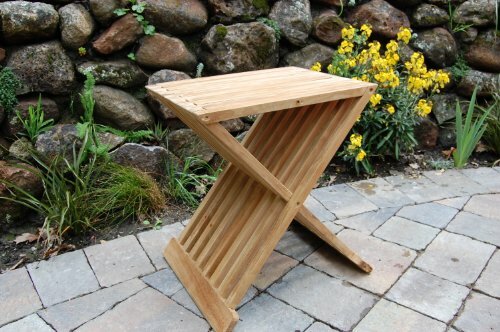 Perfect for shower or bath, this stool can also be used for your steam room or sauna. Why should you choose teak? With an average lifespan of 75 years, teak wood has long been acclaimed as the best choice for outdoor furnishings. This luxuriant hardwood is resistant to water, weather and warping, allowing it to withstand season after season of use with no need for winter storage. The natural oil content of the wood makes teak resistent to water and weathering. Over time, teak will age to a soft silver color. The original “new” look may be maintained with the application of teak oil once or twice a year, though most prefer the classic elegance of the aged wood. Dimensions: 15 1/2″ Wide x 12 3/4″ Deep x 17 3/4″ High, Holds 225 lbs.